In California, where Senator Dianne Feinstein is still hesitant to support federal decriminalization of marijuana, a company that specializes in the substance has purchased an entire town. The goal? To turn it into an ecotourism destination for the "conscious cannabis consumer." According to a report by NPR, less than 24 people currently reside in Nipton, California. The town was put up for sale by the previous owner, who was a gold miner. The gold rush first put Nipton, California on the map. 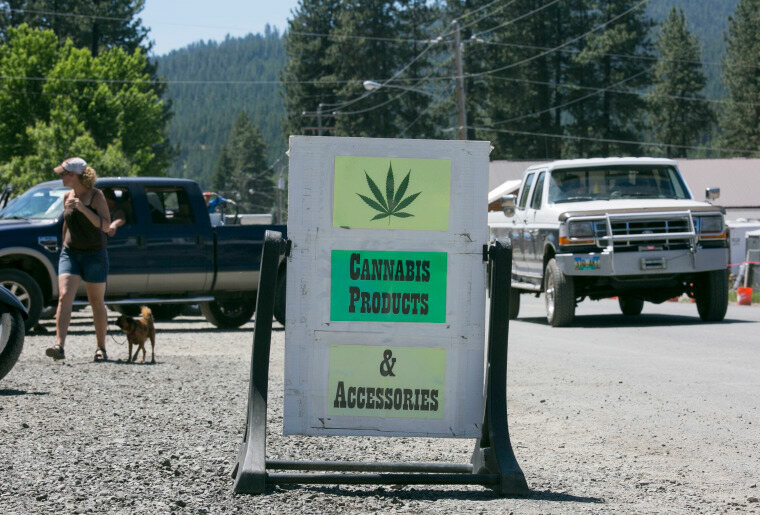 The cannabis company, American Green, bought the town for $5 million. Senator Cory Booker introduced the Marijuana Justice Act to congress last week. The bill would deschedule marijuana from a Schedule I narcotic, and work to create incentivize and reinforce fairer sentencing practices at the state level. According to a Newsweek report, 8.2 million Americans were arrested between 2001 and 2010 were arrested on charges relating to marijuana, and in 2012, 40,000 people were still serving sentences for marijuana related crimes. According to a 2015 Department of Justice report 59% of people in jail for marijuana related crimes were Hispanic or Latino, and 13.9% were Black or African American, and 24% were white.